As an Internet Marketer there are certain tools of the trade that we must have or we simply cannot get things done. These are the tools I personally use daily and without them I would not have been able to accomplish a fraction of what I have online. Think about it this way… If you were an automotive mechanic, do you think you would be able to do your job if you had no tools? And if you can’t do you job, do you make any money? Do you think a Doctor or a Dentist can do their jobs with no tools? Without the necessary tools you are doomed to failure. This is probably the most important tool you can have. It’s the glue that keeps my business together. If you are not capturing and following up with every lead, visitor or prospect then you are leaving a lot of money on the table. Every promo you send out will get around 2 to 5% to buy. If you are capturing every visitor’s contact information then chances are they will be interested in something you send them later on. 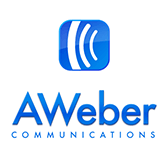 Aweber has the highest delivery rate in the industry. The last thing we need is for all our emails to send up in spam. You can start with Aweber for only $1 for the first month. I hope it doesn’t take you as long as it took me to come around on this one. For over a decade I heard a lot about attraction marketing and chose to stick with the more traditional marketing approach. I could have saved countless dollars in advertising expenses and my list would be a hundred times bigger than it is now. 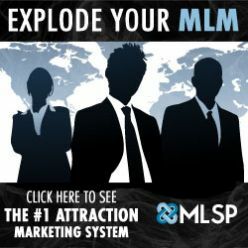 MLSP is an Attraction Marketing system. If you don’t know what that is, see my article here that explains everything. In the time that I’ve been using MLSP I have not spent a dime on advertising and yet I recruit more people every day, consistently than I ever have. MLSP will teach you more than 100 free methods you can use to generate your own quality, targeted leads on a daily basis. With MLSP in your arsenal there are few marketing tools you will ever need. Click Here to learn more about My Lead System Pro. Social Multiplier Review – Instant Pinterest Traffic For Free?